This Policy sets out the obligations of Anantha, a company registered in England and Wales under number 07297332, whose registered office is at 6 Hays Lane, London Bridge, London, SE1 2HB (“the Company”) regarding data protection and the rights of customers, business contacts etc (“data subjects”) in respect of their personal data under EU Regulation 2016/679 General Data Protection Regulation (“GDPR”). 1.1 Processed lawfully, fairly, and in a transparent manner in relation to the data subject. 1.2 Collected for specified, explicit, and legitimate purposes and not further processed in a manner that is incompatible with those purposes. Further processing for archiving purposes in the public interest, scientific or historical research purposes or statistical purposes shall not be considered to be incompatible with the initial purposes. 1.3 Adequate, relevant, and limited to what is necessary in relation to the purposes for which it is processed. 1.4 Accurate and, where necessary, kept up to date. Every reasonable step must be taken to ensure that personal data that is inaccurate, having regard to the purposes for which it is processed, is erased, or rectified without delay. 1.5 Kept in a form which permits identification of data subjects for no longer than is necessary for the purposes for which the personal data is processed. Personal data may be stored for longer periods insofar as the personal data will be processed solely for archiving purposes in the public interest, scientific1.5 or historical research purposes, or statistical purposes, subject to implementation of the appropriate technical and organisational measures required by the GDPR in order to safeguard the rights and freedoms of the data subject. 1.6 Processed in a manner that ensures appropriate security of the personal data, including protection against unauthorised or unlawful processing and against accidental loss, destruction, or damage, using appropriate technical or organisational measures. 1.1 The right to be informed (Part 12). 1.8 Rights with respect to automated decision-making and profiling (Parts 19 and 20). 1.a.6 The processing is necessary for the purposes of the legitimate interests pursued by the data controller or by a third party, except where such interests are overridden by the fundamental rights and freedoms of the data subject which require protection of personal data, in particular where the data subject is a child. 2.a.10 The processing is necessary for archiving purposes in the public interest, scientific or historical research purposes, or statistical 2.a.10 purposes in accordance with Article 89(1) of the GDPR based on EU or EU Member State law which shall be proportionate to the aim pursued, respect the essence of the right to data protection, and provide for suitable and specific measures to safeguard the fundamental rights and the interests of the data subject. 1.a.2 Personal data obtained from third parties. 1.2 The Company only collects, processes, and holds personal data for the specific purposes set out in Part 21 of this Policy (or for other purposes expressly permitted by the GDPR). 1.3 Data subjects are kept informed at all times of the purpose or purposes for which the Company uses their personal data. Please refer to Part 12 for more information on keeping data subjects informed. 1.1 The Company shall ensure that all personal data collected, processed, and held by it is kept accurate and up-to-date. This includes, but is not limited to, the rectification of personal data at the request of a data subject, as set out in Part 14, below. 1.2 The accuracy of personal data shall be checked when it is collected and at regular intervals thereafter. If any personal data is found to be inaccurate or out-of-date, all reasonable steps will be taken without delay to amend or erase that data, as appropriate. 1.1 The Company shall not keep personal data for any longer than is necessary in light of the purpose or purposes for which that personal data was originally collected, held, and processed. 1.2 When personal data is no longer required, all reasonable steps will be taken to erase or otherwise dispose of it without delay. 1.3 For full details of the Company’s approach to data retention, including retention periods for specific personal data types held by the Company, please refer to our Data Retention Policy. 1.1 The Company’s Data Protection Officer is Vuppala Narahari Kumar, dpo_sar@tgcworld.com. 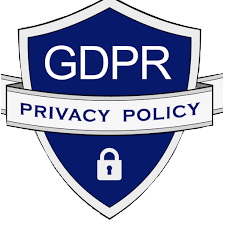 1.2 The Data Protection Officer shall be responsible for overseeing the implementation of this Policy and for monitoring compliance with this Policy, the Company’s other data protection-related policies, and with the GDPR and other applicable data protection legislation. 3.a.6 Detailed descriptions of all technical and organisational measures taken by the Company to ensure the security of personal data. 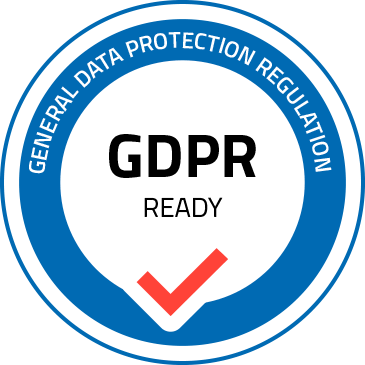 1.1 The Company shall carry out Data Protection Impact Assessments for any and all new projects and/or new uses of personal data which involve the use of new technologies and the processing involved is likely to result in a high risk to the rights and freedoms of data subjects under the GDPR. 2.a.9 Proposed measures to minimise and handle identified risks. 2.a.12 Details of any automated decision-making or profiling that will take place using the personal data, including information on how decisions will be made, the significance of those decisions, and any consequences. 1.1 Data subjects may make subject access requests (“SARs”) at any time to find out more about the personal data which the Company holds about them, what it is doing with that personal data, and why. 1.2 Employees wishing to make a SAR should do using a Subject Access Request Form, sending the form to the Company’s Data Protection Officer at 6 Hays Lane, London Bridge, London, SE1 2HB. 1.3 Responses to SARs shall normally be made within one month of receipt, however this may be extended by up to two months if the SAR is complex and/or numerous requests are made. If such additional time is required, the data subject shall be informed. 1.4 All SARs received shall be handled by the Company’s Data Protection Officer. 1.5 The Company does not charge a fee for the handling of normal SARs. The Company reserves the right to charge reasonable fees for additional copies of information that has already been supplied to a data subject, and for requests that are manifestly unfounded or excessive, particularly where such requests are repetitive. 1.1 Data subjects have the right to require the Company to rectify any of their personal data that is inaccurate or incomplete. 1.2 The Company shall rectify the personal data in question, and inform the data subject of that rectification, within one month of the data subject informing the Company of the issue. The period can be extended by up to two months in the case of complex requests. If such additional time is required, the data subject shall be informed. 1.3 In the event that any affected personal data has been disclosed to third parties, those parties shall be informed of any rectification that must be made to that personal data. 1.a.6 The personal data is being held and processed for the purpose of providing information society services to a child. 1.2 Unless the Company has reasonable grounds to refuse to erase personal data, all requests for erasure shall be complied with, and the data subject informed of the erasure, within one month of receipt of the data subject’s request. The period can be extended by up to two months in the case of complex requests. If such additional time is required, the data subject shall be informed. 1.3 In the event that any personal data that is to be erased in response to a data subject’s request has been disclosed to third parties, those parties shall be informed of the erasure (unless it is impossible or would require disproportionate effort to do so). 1.1 Data subjects may request that the Company ceases processing the personal data it holds about them. If a data subject makes such a request, the Company shall retain only the amount of personal data concerning that data subject (if any) that is necessary to ensure that the personal data in question is not processed further. 1.2 In the event that any affected personal data has been disclosed to third parties, those parties shall be informed of the applicable restrictions on processing it (unless it is impossible or would require disproportionate effort to do so). 1.1 The Company processes personal data using automated means. <>. 1.2 Where data subjects have given their consent to the Company to process their personal data in such a manner, or the processing is otherwise required for the performance of a contract between the Company and the data subject, data subjects have the right, under the GDPR, to receive a copy of their personal data and to use it for other purposes (namely transmitting it to other data controllers). 1.4 Where technically feasible, if requested by a data subject, personal data shall be sent directly to the required data controller. 1.5 All requests for copies of personal data shall be complied with within one month of the data subject’s request. The period can be extended by up to two months in the case of complex or numerous requests. If such additional time is required, the data subject shall be informed. 1.1 Data subjects have the right to object to the Company processing their personal data based on legitimate interests, direct marketing (including profiling), and processing for scientific and/or historical research and statistics purposes. 1.2 Where a data subject objects to the Company processing their personal data based on its legitimate interests, the Company shall cease such processing immediately, unless it can be demonstrated that the Company’s legitimate grounds for such processing override the data subject’s interests, rights, and freedoms, or that the processing is necessary for the conduct of legal claims. 1.3 Where a data subject objects to the Company processing their personal data for direct marketing purposes, the Company shall cease such processing immediately. 1.4 Where a data subject objects to the Company processing their personal data for scientific and/or historical research and statistics purposes, the data subject must, under the GDPR, “demonstrate grounds relating to his or her particular situation”. The Company is not required to comply if the research is necessary for the performance of a task carried out for reasons of public interest. 1.1 The Company uses personal data in automated decision-making processes. <>. 1.2 Where such decisions have a legal (or similarly significant effect) on data subjects, those data subjects have the right to challenge to such decisions under the GDPR, requesting human intervention, expressing their own point of view, and obtaining an explanation of the decision from the Company. 3.a.3 The data subject has given their explicit consent. 1.1 The Company uses personal data for profiling purposes. AI CV Competecy Analysis / Predicitive Analysis . 2.a.4 All personal data processed for profiling purposes shall be secured in order to prevent discriminatory effects arising out of profiling (see Parts 22 to 26 of this Policy for more details on data security). 1.8 All personal data to be transferred physically, whether in hardcopy form or on removable electronic media shall be transferred in a suitable container marked “confidential”. 1.5 No personal data should be transferred to any device personally belonging to an employee and personal data may only be transferred to devices belonging to agents, contractors, or other parties working on behalf of the Company where the party in question has agreed to comply fully with the letter and spirit of this Policy and of the GDPR (which may include demonstrating to the Company that all suitable technical and organisational measures have been taken). 1.5 Where personal data held by the Company is used for marketing purposes, it shall be the responsibility of DPO to ensure that the appropriate consent is obtained and that no data subjects have opted out, whether directly or via a third-party service such as the TPS. 1.4 No software may be installed on any Company-owned computer or device without the prior approval of the IT Department. 1.11 Where any agent, contractor or other party working on behalf of the Company handling personal data fails in their obligations under this Policy that party shall indemnify and hold harmless the Company against any costs, liability, damages, loss, claims or proceedings which may arise out of that failure. 1.1 The Company may from time to time transfer (‘transfer’ includes making available remotely) personal data to countries outside of the EEA. 1.1 All personal data breaches must be reported immediately to the Company’s Data Protection Officer. 1.2 If a personal data breach occurs and that breach is likely to result in a risk to the rights and freedoms of data subjects (e.g. financial loss, breach of confidentiality, discrimination, reputational damage, or other significant social or economic damage), the Data Protection Officer must ensure that the Information Commissioner’s Office is informed of the breach without delay, and in any event, within 72 hours after having become aware of it. 1.3 In the event that a personal data breach is likely to result in a high risk (that is, a higher risk than that described under Part 29.2) to the rights and freedoms of data subjects, the Data Protection Officer must ensure that all affected data subjects are informed of the breach directly and without undue delay. 4.a.5 Details of the measures taken, or proposed to be taken, by the Company to address the breach including, where appropriate, measures to mitigate its possible adverse effects. This Policy shall be deemed effective as of <<1st May 2018 >>. No part of this Policy shall have retroactive effect and shall thus apply only to matters occurring on or after this date.